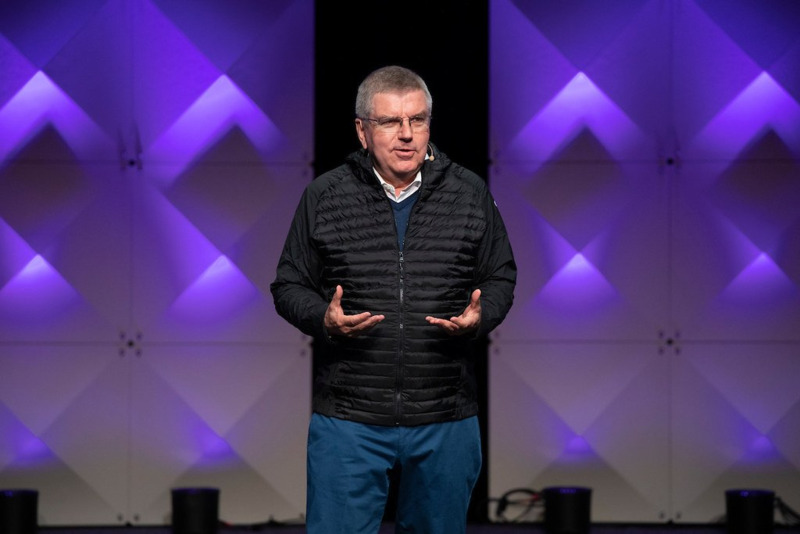 International Olympic Committee (IOC) President Thomas Bach has recommended athletes begin negotiations with their respective National Olympic Committees (NOC) over restrictions placed on them by Rule 40. The IOC President was asked about the ruling during a question-and-answer session at the International Athletes’ Forum in Lausanne today. The question followed the recent ruling in Germany, which scaled back the advertising restrictions placed on athletes by the IOC’s rule. The case had been brought by the Federal Association of the German Sports Goods Industry, German athletes group Athleten Deutschland and two athletes. Rule 40.3 of the Olympic Charter warns that "no competitor, team official or other team personnel who participates in the Olympic Games may allow his person, name, picture or sports performances to be used for advertising purposes during the Olympic Games". It is seen as major reason why companies are willing to sign up as part of the lucrative The Olympic Partner (TOP) sponsorship scheme which guarantees huge exposure during Games-time. However, it has often caused contention with athletes who claim that they are unable to make money during the most important time of their career. Under the new rules in Germany, the list of banned Olympic terminology is now "considerably smaller" and will apply to advertising and social media platforms. The judgment by the German Federal Cartel Office also ruled that sporting sanctions must not be applied in any disputes, with hearings having to take place in civil courts. The revised ruling will only apply in Germany as it stands, but the decision has been viewed as potentially paving the way for similar decisions in other nations. Bach reiterated the importance of the “solidarity model” of the funding and the protection of sponsors, but recommended athletes hold discussions with the NOCs create a “binding agreement” around their rights. “There is no one-size-fits-all solution for this because national laws and the relationship between athletes, their national federations and NOCs are very different,” he said. “Rule 40 mainly protects the sponsors of the National Olympic Committee but also the TOP sponsors of the IOC. “What we are doing now is actively contacting NOCs and starting talks advising them of what we agreed after the DOSB negotiated this with the Cartel Office in Germany. “We will find out what it means for them. “My recommendation to you as athlete representatives is that you approach your NOCs or federations and enter into a binding agreement of what are the rights and responsibilities of an athlete. “Then you have a situation you can refer to and one when you can claim these rights and have a fair balance between giving and taking. Bach cited the funding of Own the Podium, the organisation responsible for providing top-up funding to the high performance sport system in Canada, as an example of how the rule may apply differently from nation to nation. The German suggested if the funding for the programme came as a direct result of sponsors and partners, their rights may need to be protected. “It may be your NOC’s programme may need to protect the exclusivity of their sponsors and contributors,” he said. “And you cannot enjoy from all sides. “If they provide you with this money, they also need to make the money. “If their sponsors insist on exclusivity, you are in this give-and-take situation. 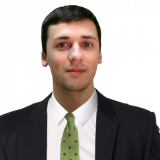 IOC Athletes Commission member James Tomkins had yesterday expressed the importance of protecting the “global approach” but said there was scope for allowing athletes to thank personal sponsors. “From the athlete's perspective, we know the two weeks of the Olympics is the time the focus is on them," he said. “If they have personal sponsors, this is the time to maximise the association with those sponsors. “Rule 40 is the guidelines of what you can and cannot do, which is about protecting the revenue. “We need to take a global approach. “By promoting the athlete, that will only affect 20 to 40 athletes in a meaningful way, as opposed to the 10,000 who need that support to get to the Games and do sports in their country. “But the IOC is allowing the NOCs to determine what framework they want to apply Rule 40. “At the local level is how they are going to do that. “Ideally you get the best of both worlds, but if you give money here, it has to come from somewhere else. Tomkins comments came at the conclusion of an IOC presentation which sought to outline their claim that 90 per cent of the revenues from the Games go straight back into sport and athlete development. 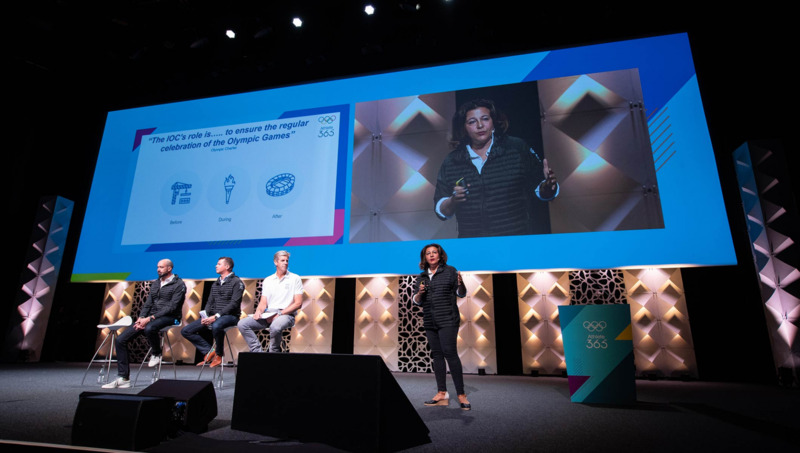 The IOC states the 90 per cent includes supporting the Olympic host cities, funding the Youth Olympic Games and contributing half of the World Anti-Doping Agency’s budget. Support for athletes is also asserted to come through funding through NOCs and IFs, as well as through Olympic Solidarity. The remaining 10 per cent of IOC revenues is earmarked for the organisation’s operations.